Manchester City manager Pep Guardiola has insisted that there are plenty of surprises left to come in the Premier League title race. City have the chance to move back to the top of the Premier League table on Wednesday night when they travel to face Everton, on account of the fact that their title rivals Liverpool were only able to muster a 1-1 draw against West Ham on Monday evening. 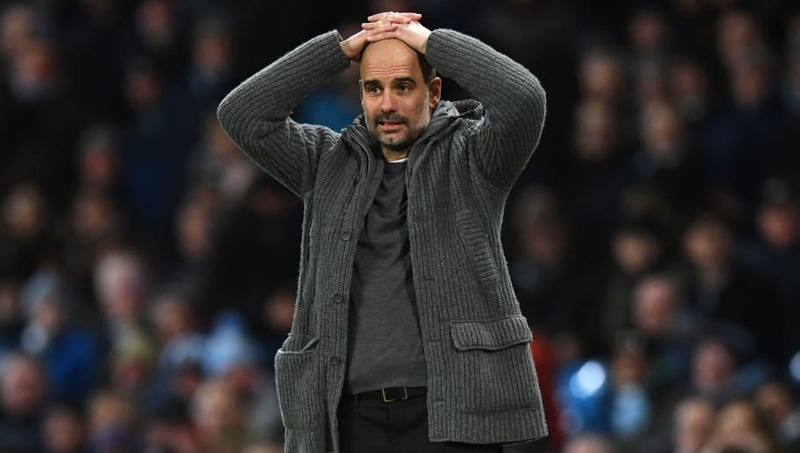 Speaking in a pre-match press conference, Guardiola played down the significance of the match for ​​City, claiming that there will be a number of twists and turns before the season is up. ​"Three or four days ago we were already done, the champions were ​Liverpool, but now we will be leading the table if we win tomorrow,” he said, as per ​The Mirror. “So we try to be calm. There will be surprises and it will be tough for teams to win every games - non-contenders have ability to create problems. "What I'm more concerned about is for us to never forget who we are as a team, doing what we have to do. That's what I want to watch, and after we see about the results, we will see the table." Guardiola also discussed the teams currently around City in the table and, although Liverpool look to be their strongest title rivals, the Spaniard was careful not to discount the likes of ​Tottenham, ​Chelsea and ​Manchester United. “I never said Tottenham is not there,” he added. "Chelsea as well, I never said, and Manchester United , making this run every single week, they will be there. “There are 39 points to play for and nine or 10 behind, it's not too much. Everyone is ready to take points."